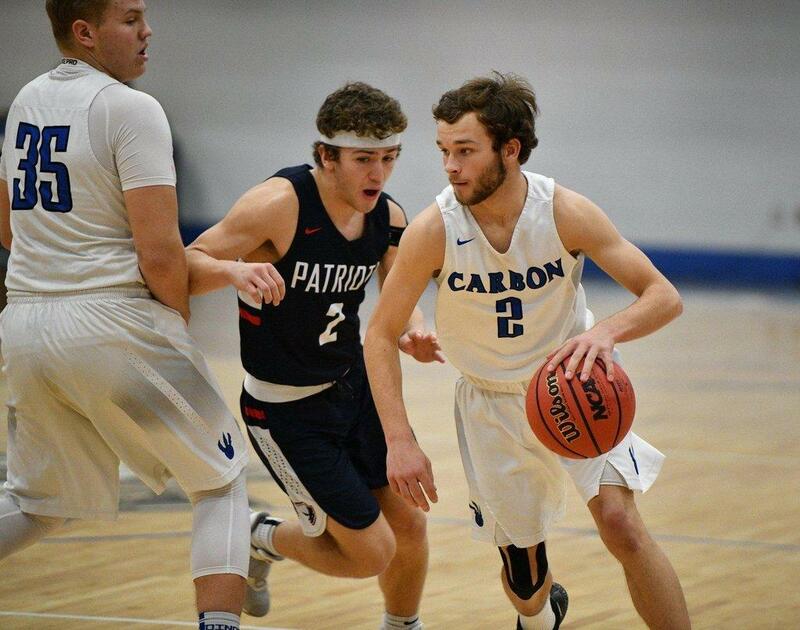 Carbon played its last regular season game on Friday evening at American Leadership Academy. The Dinos began the game strong and led by 10 points after one quarter of play, 15-5. The Eagles came soaring back in the following period and put a 21-7 beating on the Dinos. ALA went into half with a 26-22 advantage. Each team traded blows in the third quarter as the game remained extremely close. Carbon was able to trim down its deficit to 41-38 with one quarter left to play. The Dinos tied the game at 44 early in the fourth quarter. Carbon stringed a number of shots together to began to pull away from ALA before the Eagles battled back to again tie the game at 52. Neither team could find a bucket down the stretch, but Carbon was eventually fouled and sunk both free throws to win the game, 54-52. Only four Dinos found the bottom of the bucket in the contest. Ty Anderson led the team with 19 points, four assists and four steals, followed by Derek Hillam with 13 points and a team high eight rebounds. Collin Lewis added 12 points while Kaleb Nelson put in 10 in the Carbon victory. The Dinos had a better shooting percentage, going 43% from the field, while only giving up seven turnovers in the game. Carbon (8-14, 5-7 Region 14) will face Morgan (16-5, 8-0 Region 13) in the opening round of the state tournament on Saturday, Feb. 16 at 8:30 a.m. All tournament games will be streamed live online and on ETV Channel 10. Be on the lookout on our social media pages for an upcoming State Tournament Bracket Challenge and fill out your brackets for a chance to win!